Pipes last a long time, but old or worn down pipes can cause a lot of problems for a house. Old pipes are more likely to clog, leak, or even burst, and corroded pipes can displace minerals and other harmful materials into your water supply. Those things are very bad. If you suspect you might need to get your home’s pipes replaced, don’t wait--especially if your home is older and you don’t know how long it’s been since the pipes were replaced. 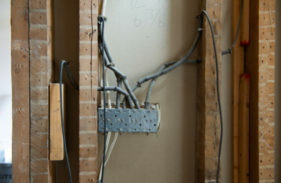 If your home was built before 1980 there’s a good chance that your pipes are either lead-based or were connected with lead solder. If you’re at all worried your pipes contain lead, there’s a quick way you can check. You can also call us and we’ll be able to tell you what your pipes are made of and how they’re holding up all at once. Here’s all the info you need to figure out whether or not our partial or complete pipe replacement program is right for you. Several factors determine how fast your pipes will corrode and become compromised or even unsafe.  Pipes used in homes are usually made of plastic, concrete, or some kind of metal. Plastic and concrete tend more resistant to corrosion and wear than metal pipes are. This is because metal pipes are susceptible to electromechanical electron exchange. If your pipes are made of an alloy of multiple metals, they’re even more at risk. The process by which pipes become corroded can also be caused by the kind of soil and water in your area. 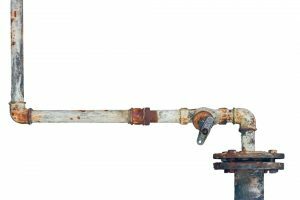 Lead and copper in water can lead to corrosion, but the chemicals added to drinking water to treat are acidic and can also contribute to corrosion over a long enough period. The temperature, saltiness, Ph value and hardness of your water also determine how susceptible your pipes are to corrosion. Particularly, hard water tends to leave deposits of calcium and magnesium in your pipes over time, so if you don’t have a water softener there’s a chance your pipes won’t have as long a lifespan as they might otherwise. First and most importantly, if you found out your pipes were metallic, give us a call and we’ll do a full inspection and tell you whether or not your system could be at risk. If you found out your pipes are lead, you should definitely get them replaced. You should also consider replacing any plastic piping, as it’s fragile compared to other kinds of plumbing, especially if it’s old. 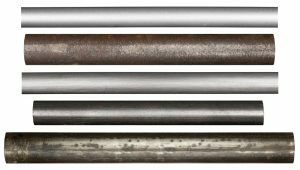 Even if your pipes aren’t old metal, there’s no guarantee they haven’t been compromised. Check the color of your water. If you notice that the water you use is consistently brownish or discolored as it comes out of the faucet. 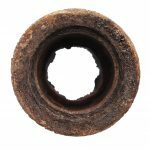 That’s rust, corrosion, or mineral deposits in your pipes leaching into water, and is a sign that your pipes should be cleaned or replaced. 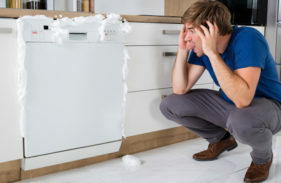 Another sign that homeowners don’t often consider is how often you’re experiencing leaks or clogs. 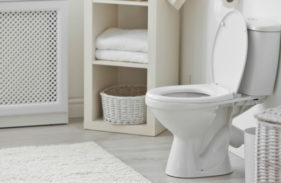 If your toilets or drains seem to clog more than they should, it could be because corrosion is restricting your pipes. Similarly, low water pressure could be a sign water isn’t moving through your pipes as well as it should be. When you call Mike Diamond for service, we do a full survey of your plumbing system before making any recommendations. We take only the actions necessary to keep your plumbing functioning at 100%. If we do recommend a total or partial replacement of your pipes, we work with you to determine what form that replacement should take. We consider your home, your budget, your preferences and any other logistical situations before we put together a game plan. We can use flexible, durable polyethylene piping to cut down on demolition as much as possible. Want to replace your current metal pipes with a safer alternative? Mike Diamond offers high quality copper re-piping, too. If you feel like you’ve been having a lot of plumbing problems, consider that the problem may not be you. 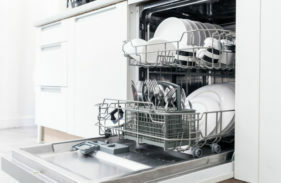 Old pipes could be the root cause of a whole host of issues in your home. All pipes need to be replaced eventually, and doing so could not only be a good idea for you and your family, it could extend the lifespan of your whole home and even raise your property value. If you’re thinking of pipe replacement for your home, or would like to ask an expert a few questions about your plumbing system, feel free to give us a call today. No two customer’s’ problems, needs and desires are the same, which is why we get to know your plumbing, your house and YOU before we make a recommendation. This commitment to customer service means when you choose Mike Diamond for your pipe replacement needs, or any other home repair needs, you’re satisfied every time.